Nepal government directs ministries to halt Gurkha recruitments - Integration Through Media ....! KATHMANDU (PTI): Indian and British armies may no longer be able to employ Gurkhas, known for their valour, following a Nepalese government decision to eventually stop their recruitment in foreign countries. Nepal’s government has directed Ministry of Foreign Affairs (MoFA) and other concerned ministries to implement the recommendations of a report that seeks to ultimately halt Gurkha recruitments in foreign armies. The Office of Prime Minister and Council of Ministers (OPMCM) have sent separate letters to various ministries on March 9 directing them to initiate procedures for implementing recommendations of the report, Nepal’s Foreign Policy in Changed Context: 2012, saying it was endorsed by a House panel. The report approved by the Parliamentary Committee on International Relations and Human Rights on December 26, 2011, was later presented in the Legislature Parliament. The report has drawn sharp criticism from Ex-Gurkha organisations which have warned to launch protests if Gurkha Recruitment Centres are shut down in Nepal, the Republica reported. 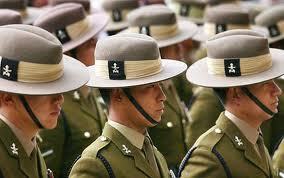 Nepalese Gurkhas are mainly serving in Indian Army and British Army.